In our increasingly interconnected global society more and more people are becoming aware of the disasters that impact populations of people around the world. 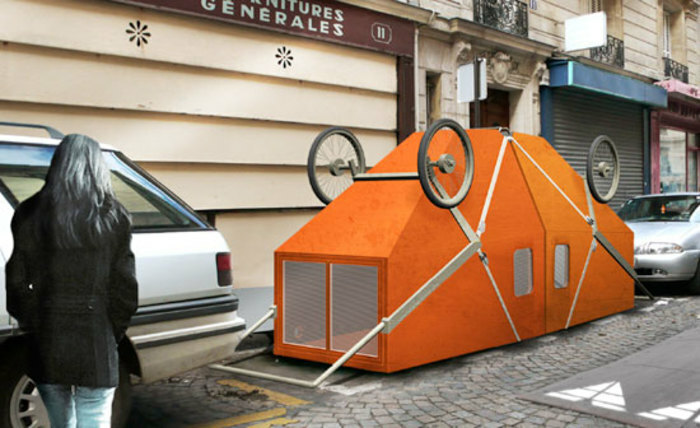 This simple post-disaster home designed by Encore Heureux to be pulled along by a person or hitched to a bike. 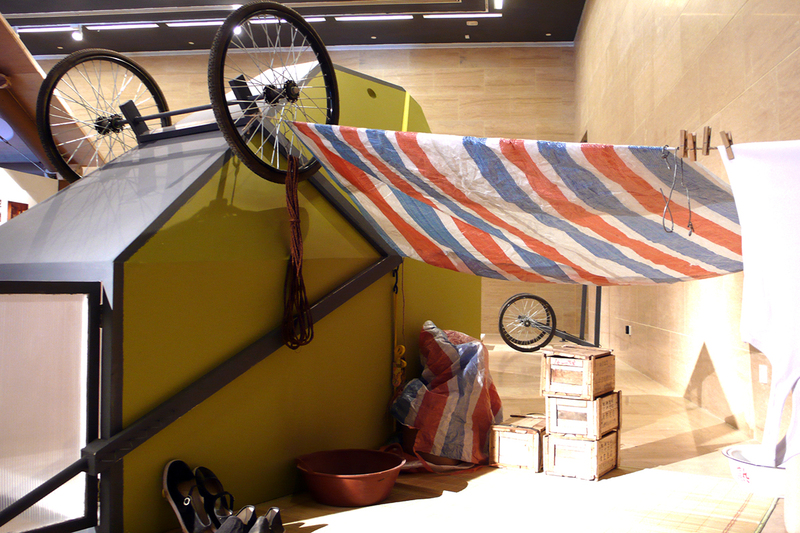 In critical moments when we’re in dire need of a roof, shelters like these can be literal lifesavers. 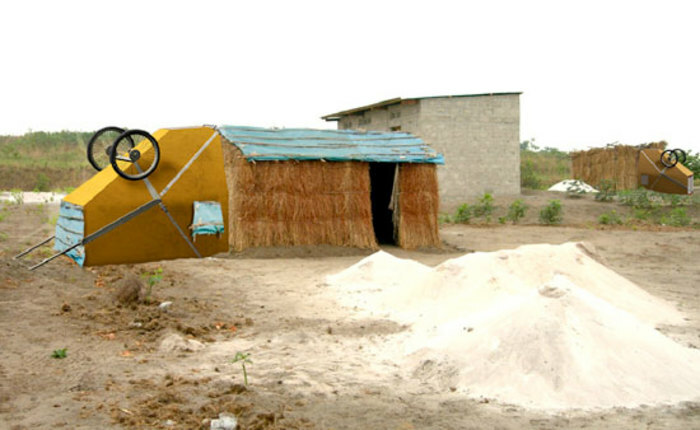 The fact that this design is modest in scale, scope and material expense makes it all the more practical to build on-site after emergencies. Likewise, since it can be pulled by anything from an individual to a car it is also useful even for those without vehicles. 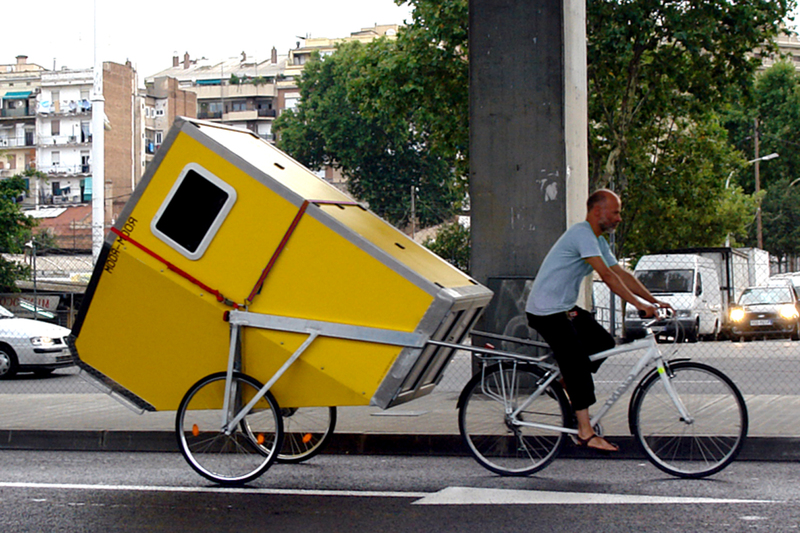 There is of course also no reason these nifty miniature mobile homes would have to be used exclusively in emergency situations – they could also make camping companions for people on rural long-distance bike trips or work in urban areas as portable homeless shelters. 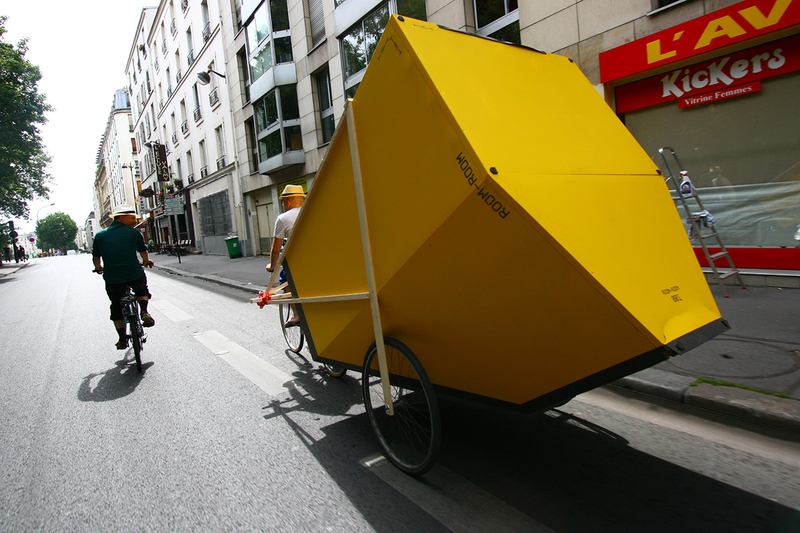 Encore created a working prototype and demonstrated how it can be used on the streets of Beijing. 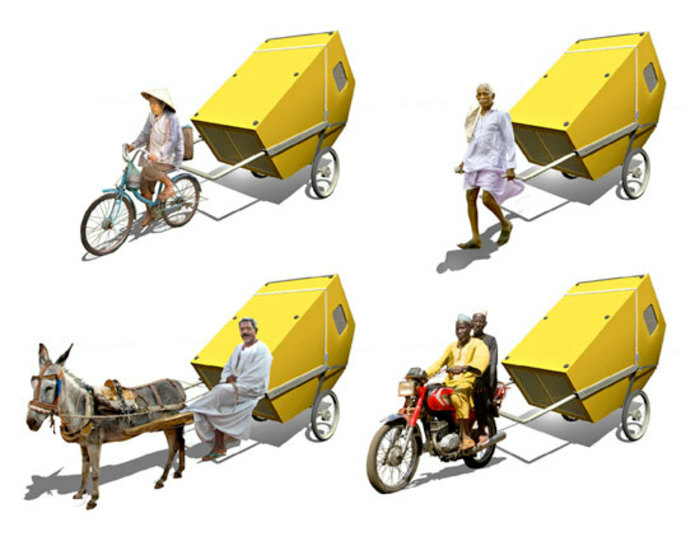 It’s one thing to be told that a mobile emergency shelter design can be pulled by a bicycle, and another thing altogether to see it in action with your own eyes. 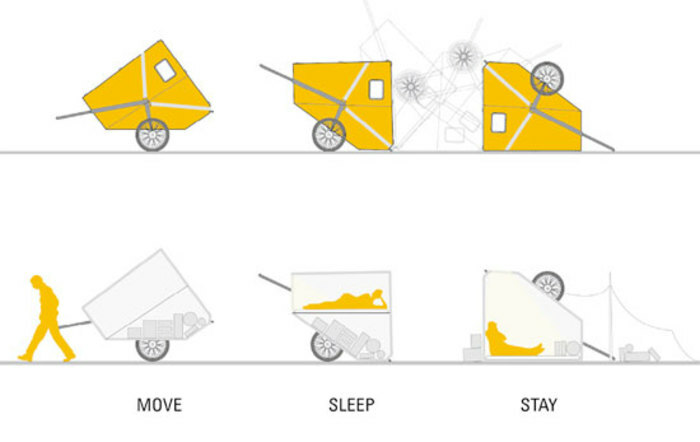 It’s clear that this disaster housing concept is truly as useful and practical as the designers would hope.